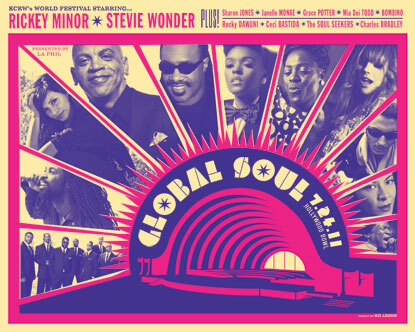 On Sunday, July 24th musical director, Rickey Minor, will be taking over the devine Hollywood Bowl to celebrate soul music from around the world. Artists performing will include the every-lovable and amazing Stevie Wonder as well as Sharon Jones, Janelle Monáe, Grace Potter and others. And if that wasn’t the bomb-dig already, the evening will end with a 40th-anniversary tribute to Marvin Gaye’s, What’s Going On. Listen up, Los Angeles, we’ve got a pair of tickets to give away! Tell us which Stevie Wonder or Marvin Gaye tune is your go-to and you could be grooving under the Hollywood stars on us!